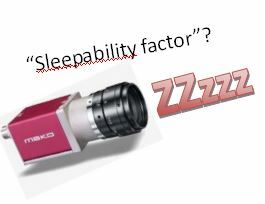 Machine Vision cameras "Sleepability Factor" - Our honest opinion! 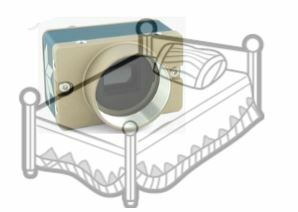 The Machine Vision camera “Sleepability factor”!? The sleepability factor, or how saving $50 on a machine vision camera could cost you thousands! 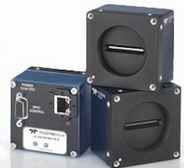 As an independent machine vision camera distributor, we are asked about the manufacturers we represent. Out of all them, we have chosen to only carry products from a few machine vision camera and lens companies of which we have not really changed this over the 20 years we have been in business. Why is this? These days, there are probably over 30 different camera manufacturers making products for the machine vision marketplace, many using the identical image sensors. Considering anyone can just put up a web page and start selling, how can a user know which product to purchase? Are there really any differences? Should I just purchase on price? Should I buy from a distributor or from the manufacturer direct? All great questions, that we will attempt to answer. The very simple and quick answer is that if you just need to get a image in good light, pretty much any camera from any vendor will do that job. No matter if it is from a large company or a 2 person startup, when you take the product out of the box, you should see a “good” image. But if you said, “I want this camera to run 24/7 for the next 5 years, I want to be able to develop complex software to integrate into my machine, I need the image sensor plane to be within a certain tolerance for each machine,” this changes the situation. The reason we have chosen the camera manufacturers we sell products from is because each of them has a proven track record of reliability. Each of the companies we represent ships 6 figures of cameras per year. IDS Imaging for instance ships close to 200,000 cameras per year and has a return rate of under 0.3%. Allied Vision was the first company to incorporate the Precision Timing Protocol (PTP) which allows for precise multi camera sync, enabling our clients to not only make sure the application will work, but it doesn’t take years to develop it. Teledyne Dalsa, besides being a leader in line scan technology, has a SDK that has been built upon for over 30 years. manufacture for them. This isn’t to say there aren’t other camera companies with such characteristics. There are, and many of the other camera companies have excellent products as well. It is just that we have chosen these companies, and we have stood with them for 15+ years for good reasons… sleepabilty! What does this mean to you as a client? Yes, you can purchase a camera from any vendor, which on a $500 camera, you might even be saving $50 a camera. If you purchase 100 cameras a year, this adds up to a reasonable savings of $5,000. But what happens if your machine, which you sell globally, has a camera that fails. What is the cost of the line going down at your client? How do you look in your client’s eyes? What is the cost for you to fix it? If you had your choice of buying a camera with the same characteristics at roughly the same price, but one company makes 20,000 a year, and the other makes 200,000 a year, which would you choose? The same is true if you can choose between a company that has offices all over the world, or just in one country. Or one that has many application engineers to answer your questions, or just one. We just want to point out that if you are making a purchase on price alone, depending upon your circumstances, it might not really be a savings at all. In fact, it might actually not only be costing you money, but it might even be costing you your sleep! Previous PostPrevious Which Industrial camera would you use in low light?